Epic fantasy author and Russian Orthodox deacon Nicholas Kotar joins Fr. 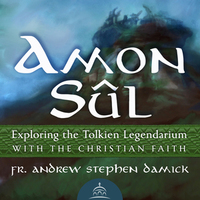 Andrew to discuss Tolkien’s famous essay “On Fairy Stories,” storytelling, Christian hagiography and culture, and their benefit to spiritual life. They wrap up with a strange journey into the wild world of Russian Tolkien fandom.